Home » Tips » Smart Locks Vs Traditional Locks, Which Is Better For You? Installation of a secure door lock is necessary to protect your valuables in your absence. Smart locks are also used for the same purpose, but in a different way providing high security. We can’t neglect the value of locking systems that help to secure us. As the time grows burglary cases are increasing likewise security systems are also updating to eliminate the burglary cases. The debate is going on the matter which security system is better for protecting your home either traditional or smart locks. This will never get an end until it is discussed generally. Traditional locks are those that include a key to lock and unlock your home door. No one can open this lock without getting its key. These locking systems are available from small to big depending on the size of your door and needs. On talking about the smart locks, these include another source to lock and unlock the door but don’t use the referring key. These locks may work only when connected to the electricity or internet and accessible using a specific code. Which Should Be Installed For High-Tech Security? Both locks are valuable but it depends on the application which you need most to protect. Both locks can be locked or unlock using any referring source be it a key or specific code. But, traditional locks can easily be broken that’s why smart locks come on the top. As compared to the residents, smart locks are more used in the commercial sector due to its high protecting features. On the basis of your valuables security, you need to choose an appropriate locking system. 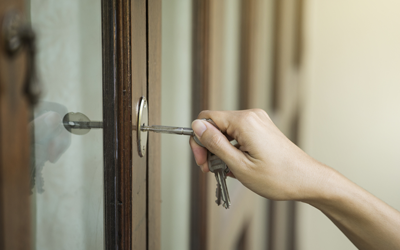 For a better consultation, you can contact a professional locksmith. The experts will suggest as well as install the appropriate locking system. If you are looking for the professional locksmith then contact Calgary Locksmith today. We are available 24/7 specialize in delivering lock installation, repair and emergency break-in.